Grapefruits are not my favourite citrus. Far from it in fact. But my husband loves them so we often have them around the house. I have previously used the following recipe with lemon curd which was absolutely delicious, but this time decided to try it using grapefruits. The result was suprising in that I actually enjoyed them more than I expected. The curd is not too bitter and the pairs well with the cream cheese frosting. 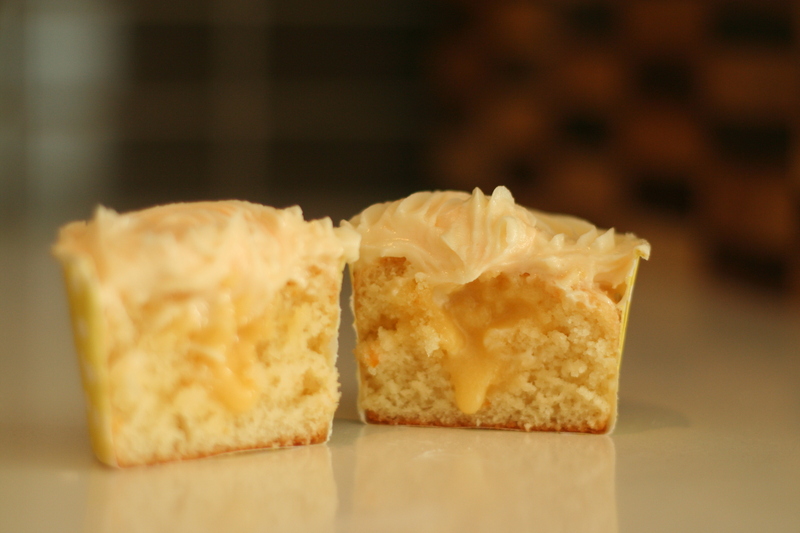 The addition of grapefruit juice and zest to the cupcake batter means you get the citrus notes all the way through, and the slight bitterness stops the sweetness being overpowering. I would recommend waiting until your curd, cupcakes and frosting are all cold before attempting to assemble these, otherwise it gets a bit messy. The reaction you get from people when they reach the gooey centre is priceless. I will post the recipe for the curd in the next few days. 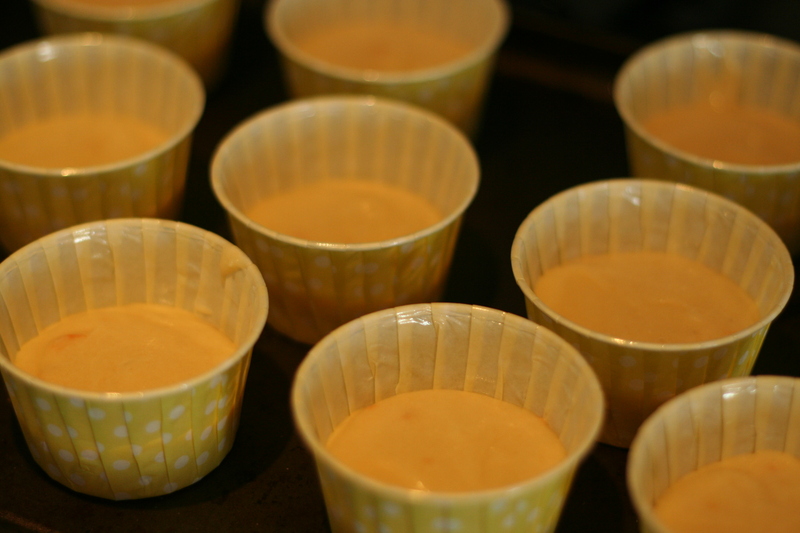 Preheat oven to 180° and prepare your cupcake cases. Combine flour, sugar, baking powder, zest and butter in a bowl and beat until combined. You should get a sandy consistency. Pour in the milk and juice and beat until combined. Add the egg and mix until incorporated, then beat on medium speed for 2 minutes or until smooth. Spoon into cupcake cases until 2/3 full and bake for 20-25 minutes or until a skewer inserted into the cupcake comes out clean. Allow to cool before filling and frosting. 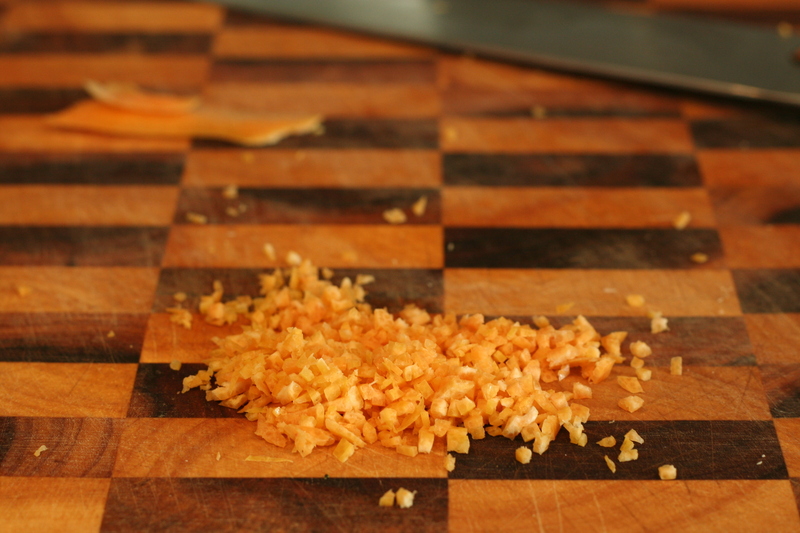 Prepare a batch of grapefruit curd (recipe to follow). 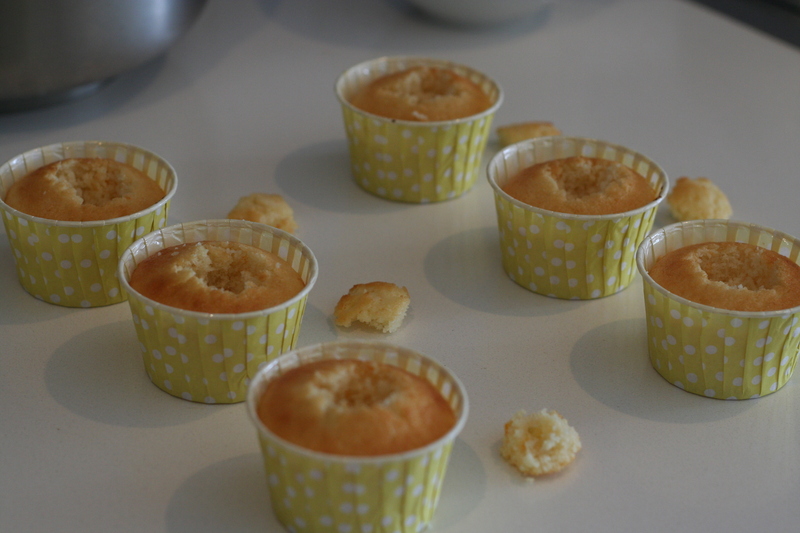 When cool, use a teaspoon to hollow out the centre of the cupcakes. 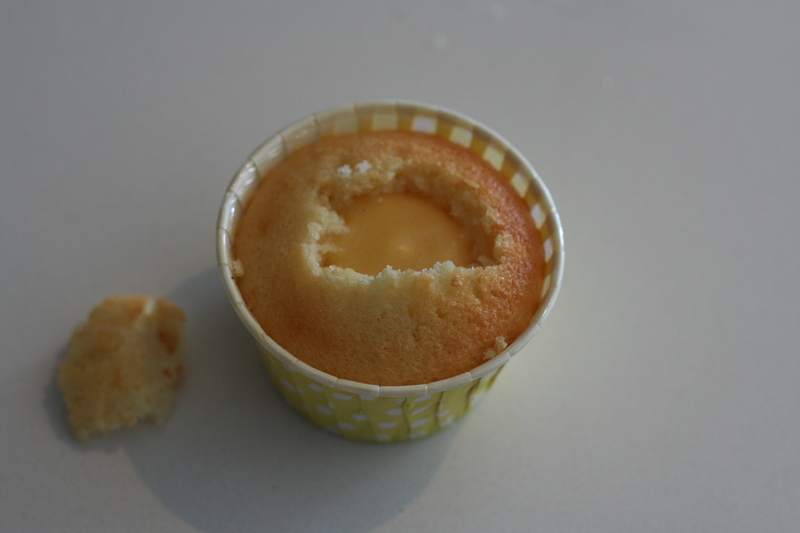 Fill the cavity with grapefruit curd then place the top of the cupcake back on. In your mixer, beat together icing sugar, butter and zest on medium speed until the mixture comes together and is well mixed. On a slower speed add the milk and beat until combined. Then increase to high speed and beat until light and fluffy, about 5 minutes. 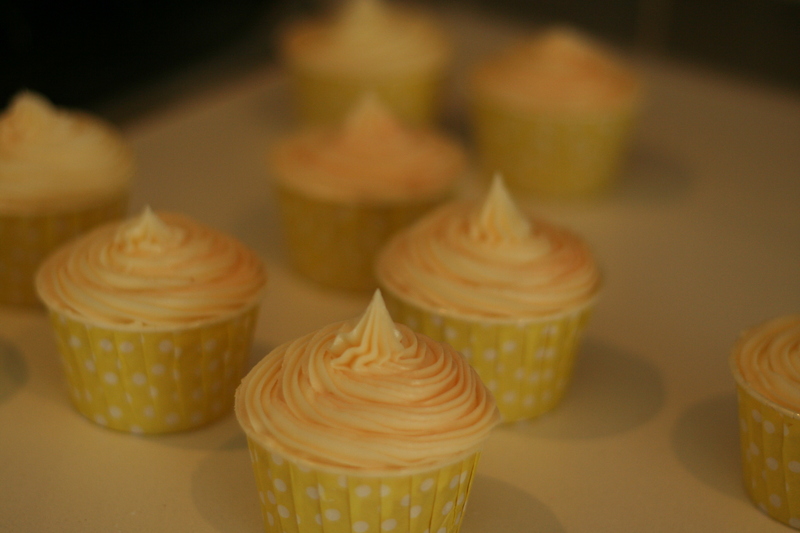 To get the variations in colour, take a small amount of frosting and add a small amount of grapefruit curd. Mix well until your frosting is a different colour. You can enhance the colour with a drop of food dye if needed. When piping use mostly the plain frosting but add some coloured frosting to the bag also (I like to put a stripe down one side of the bag). As you pipe you will get variations throughout your frosting.